Interact with Pikachu like never before! 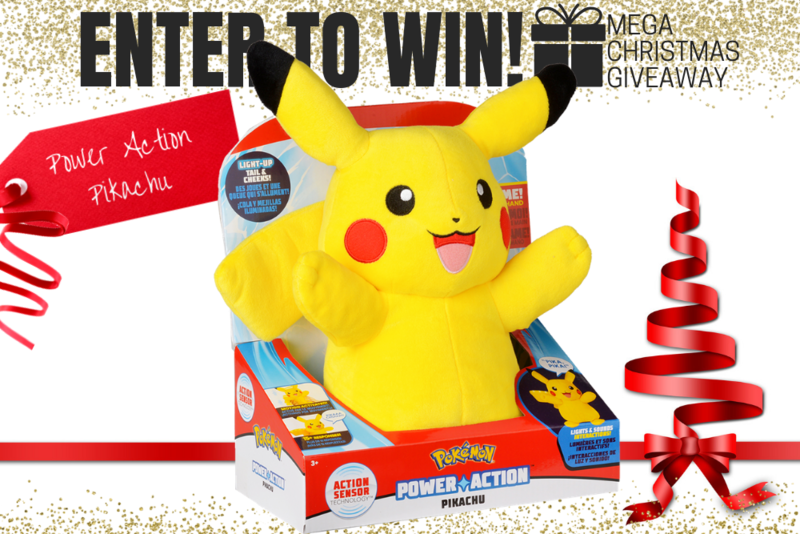 The Power Action Pikachu features Action Sensor Technology – which means you can squeeze Pikachu’s hands to interact with him; shake for Power Action; or throw to a friend! Pikachu really speaks with more than 15 different responses to your squeezing, tossing and tumbling. Power Action Pikachu has movement sensors, light up tail and cheeks but remains super dooper cuddly. All the clever tech gizmos are tucked away in his middle to ensure as much soft huggable plush cuddles as possible. Suitable for ages 3 years +, Pokémon Power Action Pikachu is available from Big W, Kmart, Myer and independent retailers. 1. **Power Action Pikachu. Total Prize Value $59.00** AUD (the "Prize"). 2. It is the responsibility of the winner to collect the Prize within 7 days of the end of the Competition Period from the Promoter’s Mornington office. 3. The Prize, or any part thereof, must be accepted as awarded and is non-negotiable, non-transferable to another person and non-convertible and is not transferable for cash. 4. The prize must be collected from the Promotors Mornington Office, unless otherwise advised.